The Astron GPS Solar Chronograph is one of the most advanced watch calibers in the world, Giugiaro Design worked together with Seiko to create a very special Limited Edition. The Astron GPS Solar Chronograph is the ideal sports watch for the global traveller. 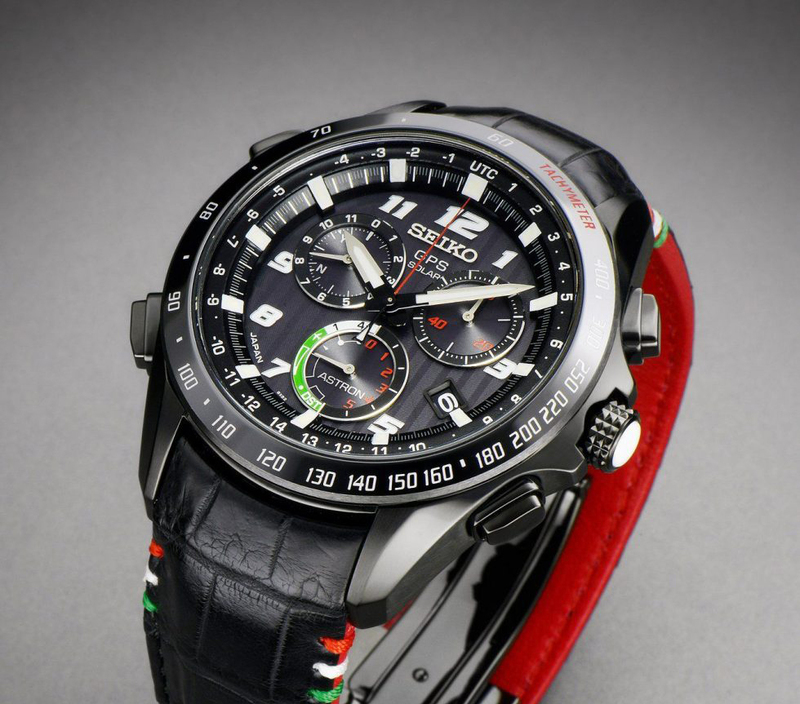 It adjusts at the touch of one button to your time zone and features a 6-hour chronograph of high precision. The advanced exterior design complements the high technology within. A sleek lightweight titanium case encloses a high-legibility dial whose newly-designed Arabic figures and color accents add the flair and sporty style that the global traveller will prize. The case back is sculpted into the shape of a sports car wheel and carries the marking “Giugiaro Design Limited Edition” and the watch’s individual serial number. Seiko commissioned Giugiaro Design in the early 1980’s to create a design for the recently launched world’s first analogue quartz chronograph. The partnership flourished, resulting in Speedmaster, a series of four designs, two analogue and two digital, that were immediate and lasting successes when they were launched in 1983. A decade later, the collaboration was renewed with the creation of the Macchina Sportiva collection, released in 1996. As with the first series, was designed with motor sport as its inspiration. It, too, was a global success and is today prized by motor sport fans and watch collectors alike.